When Netflix decided to cancel the high-concept science fiction series, “Sense8,” the outcry from its small but enthusiastic fan base was a social media firestorm. At first Netflix was apologetic, but firm. At $9 million an episode, the series was not working for the number of viewers it was getting. So it came as a great surprise, as the Verge reports, that the show got something of a reprieve. Netflix will not bring back “Sense8” for a third season. The live streaming network is still solid about that decision. But a two-hour finale has been greenlit for 2018 that will tie up the story line and give the series some kind of closure. The compromise was done in a way once before. When “Firefly” was cancelled in 2002 even before a full season was aired, fan outrage was such that a feature motion picture was approved that continued the adventures of the crew of the Serenity. The implication was that if the movie was popular enough, the series might be revived. Unfortunately, the film did not make the numbers, and the show never did get back to the small screen, even though “Firefly” has become a cult classic. The two-hour special will presumably answer some questions regarding the fate of some of the characters that were left unresolved at the end of season two. However, the series, which features the adventures of a group of people across the globe who suddenly find themselves emotionally and mentally connected, resides in a universe with its own backstory that is too rich and complex to be resolved in a two-hour episode. The fans are going to want more. Indeed, the fight to get “Sense8” renewed for a third season seems to have continued unabated. The question arises, how will Netflix react if the demands continue despite the gift of the two-hour finale? The numbers are still there. At $9 million an episode, a lot more fans have to binge-watch “Sense8” in order to justify keeping it around. Netflix does not publish viewer levels of individual shows. It makes its money selling subscriptions. However, it does keep track of that information and makes its judgments accordingly. 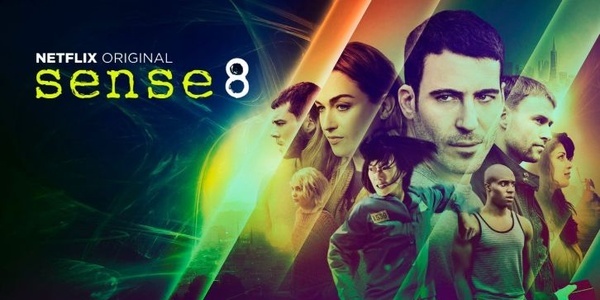 One idea that no doubt the programming suits at Netflix must be considering is that, instead of bringing back “Sense8” as a series, doing it as an annual two-hour film. The approach has worked before with the “Stargate” franchise on the Syfy Channel. The movie series idea just might work.